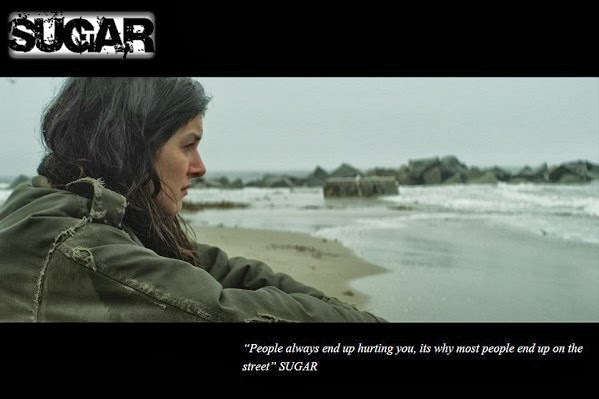 The SUGAR Film Project aims to 'make life a little sweeter for homeless youth'. The drama stars Shenae Grimes, of 90210 fame, and depicts the bitter reality of youth homelessness in American cities. Read more below, and press play to learn about the campaign and see the film's trailer. SUGAR caught my eye for three reasons. Firstly, the film will draw homelessness back into the public eye which is never a bad thing. It hits cinemas in Los Angeles and New York this month, and will then continue on a tour around San Francisco, Seattle, Austin, Portland, Orlando and finally Florida. Secondly, its director Rotimi Rainwater has himself lived homeless for a year in Florida in 1989. This firsthand experience should give the film a particularly resonant dimension since we know the events are based upon real situations he came across whilst living on the streets. Thirdly, and perhaps most importantly, the film is a social enterprise of sorts. In its quest to raise awareness, it will also try and raise enough money to provide 10,000 meals for young people living on the streets in American cities. This is, within the context of the problem, a meagre offering, but it certainly has promise to hit with a greater impact if the project is pursued in the future. All we are left to do now is hope a renowned British director follows suit (since we know our version would be even darker and grittier knowing British independent cinema!) and makes a similar film for release in UK cinemas.